3HP Stainless Steel Rate Adjustable Tea Bag Cutting Mill With Cyclone Powder Collector(RT-CR30SI) - Rong Tsong Precision Technology Co. 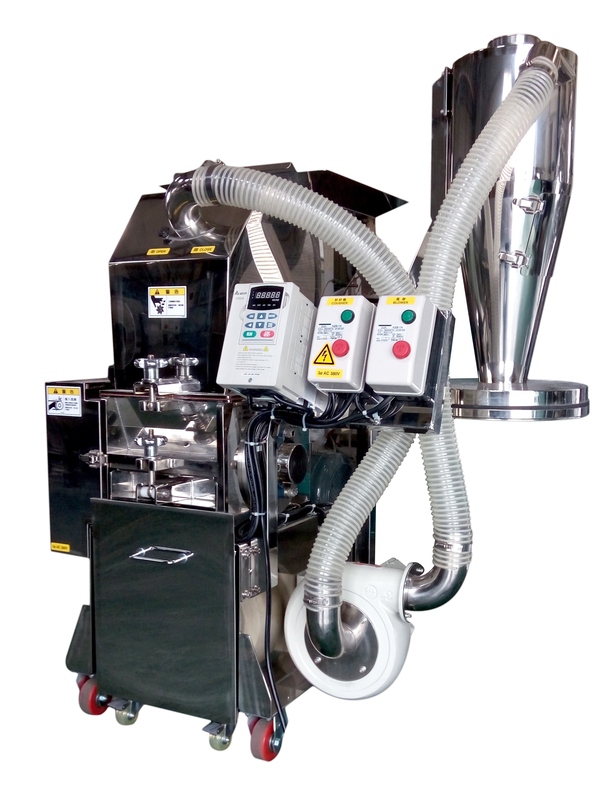 The machine is suitable for grinding the material into 1 to 2 mm and can be installed a cyclone powder collector to prevent the powder dust, like the pellet in the tea bag. The user can decide the output powder size by changing the filter net. Use as crushing or cutting machines to separate powder form grain(size：1~3mm) and made of stainless steel（SUS304）. Applied for material for example：Chinese herbal medicine, material size which crush into 1~3 mm …etc. Avoiding dust pollution by Cyclone powder collector. User can select 2 size sieves（2~20mm） according to different demand.